Amit Shah had in an interview to The Week magazine stated that it was his party's decision not to give Lok Sabha poll tickets to those above 75 years of age. 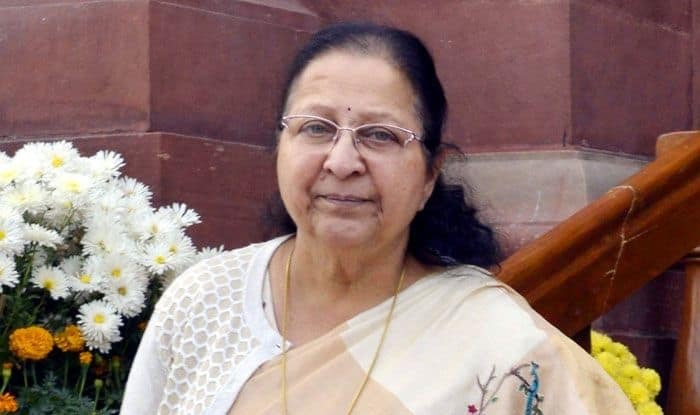 With the BJP appearing to be in a dilemma over fielding her, outgoing Lok Sabha Speaker and eight-time MP from Indore, Sumitra Mahajan on Friday opted out of contesting the general elections saying she has freed the party to make its choice. Mahajan, who turns 76 next Friday, said there had been speculations whether the party would field someone who has crossed the 75-year age bar. “There were speculations and so I decided to end them and free the party to make its choice. I will not contest the Lok Sabha elections,” she told PTI from Indore. Mahajan, however, maintained that she would continue to work for the party and campaign for it. “The party (BJP) had not been able to name a candidate (from Indore Lok Sabha seat) for so many days and there were speculations if someone over 75 years of age will be fielded. So I decided to end all this,” she said. Bharatiya Janata Party (BJP) president Amit Shah had in an interview to The Week magazine on Thursday stated that it was his party’s decision not to give Lok Sabha poll tickets to those above 75 years of age, leading to veteran leaders like LK Advani and Murali Manohar Joshi missing out. Though he had not named Mahajan, the outgoing Lok Sabha speaker too falls in the same age bracket. Mahajan was first elected to the Lok Sabha from Indore in 1989 and has won all the seven consecutive elections. She was a minister of state in the Atal Bihari Vajpayee government, holding portfolios of human resources development, telecom and petroleum between 1999 and 2004. When the BJP swept to power again in 2014, she was named the Speaker of the Lok Sabha. Stating that she had received immense love and support from people of Indore, she hoped the BJP would quickly make up its mind for its candidate from Indore and end this uncertainty.